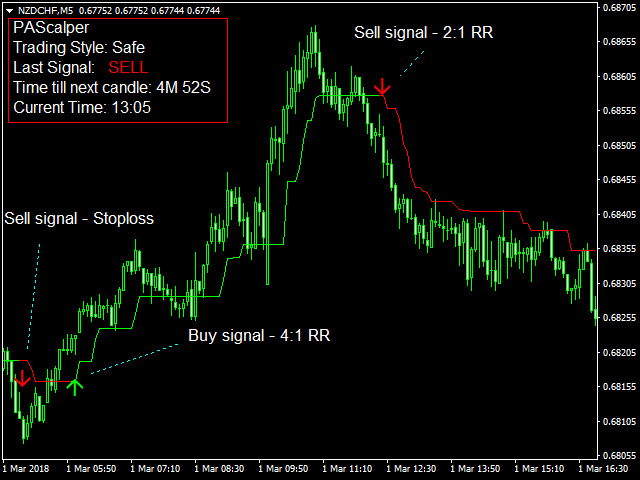 PAScalper is an advanced price action indicator giving Buy and Sell signals. 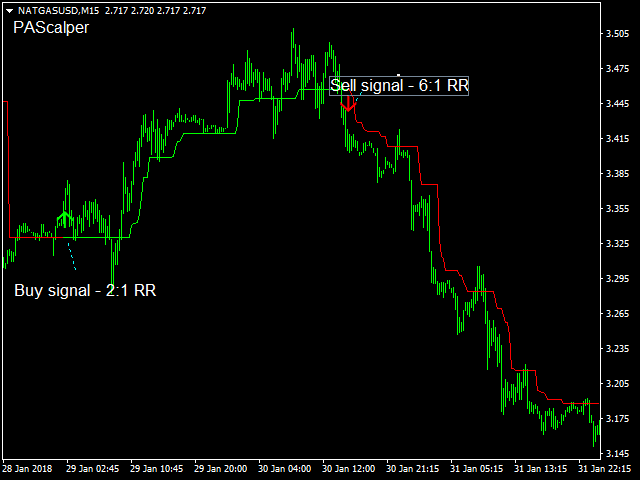 This indicator works on all timeframes, however its performance is best on M1, M5 and M15 timeframes. 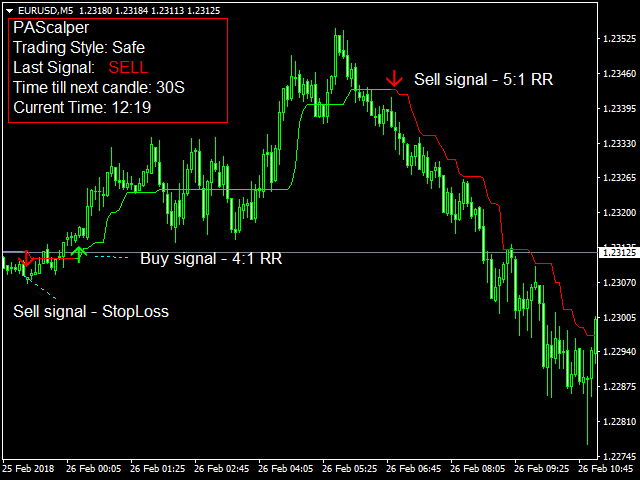 Trading Style: There are two trading styles - Safe and Aggressive. Safe - more suitable for conservative traders. It has less number of signals any given day. Aggressive - for risky traders. 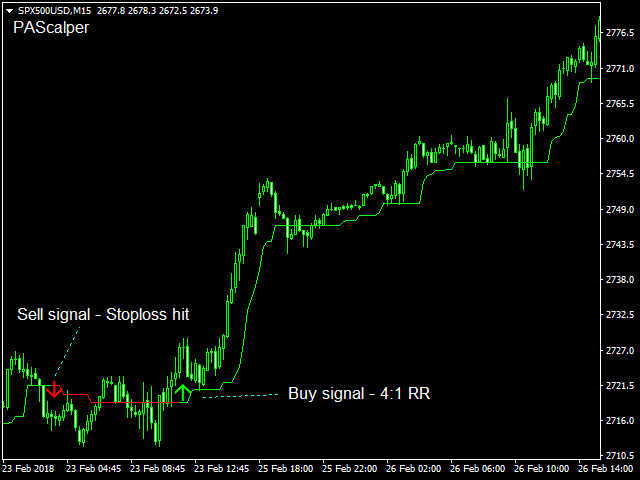 This trading style generally has more number of signals. For using this mode, one needs to be quick with entries and exits. 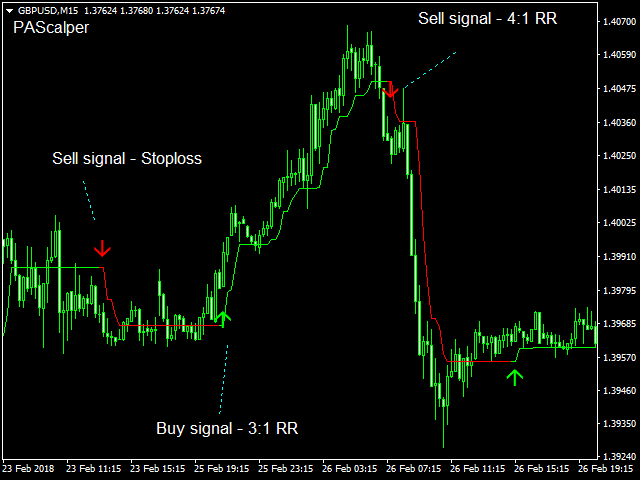 Pop-up sound alert: if True, indicator would show pop-up alert whenever a new trading signal comes up. 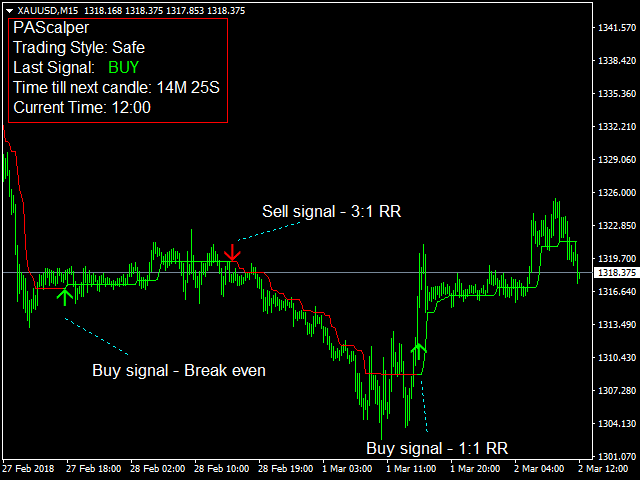 Email alert: If True, the indicator would send email (To email ID configured in MetaTrader 4) whenever new trading signal comes up. Push alert: if True, the indicator would send alert to mobile (registered with MetaTrader 4) whenever new trading signal comes up. In attached screenshots, we purposefully have not mentioned 'No. of pips' made in any trades. Professional traders define quality of their trading system with regard to Reward/Risk ratio (RR). 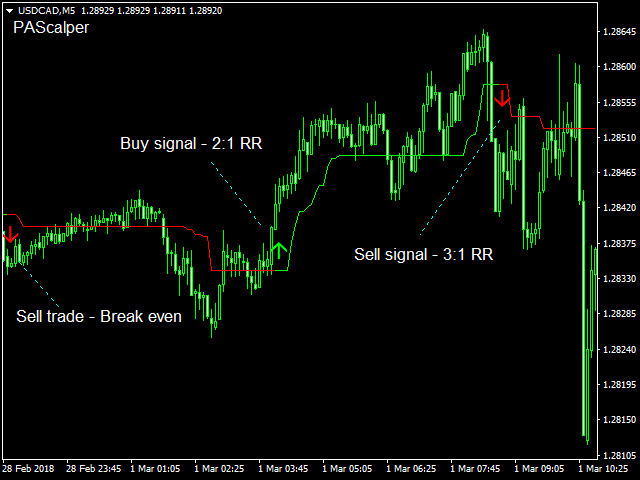 For example, if risk for a trade is 10 pips and profit achieved is 40 pips, then Reward/Risk ratio (RR) = 4:1. 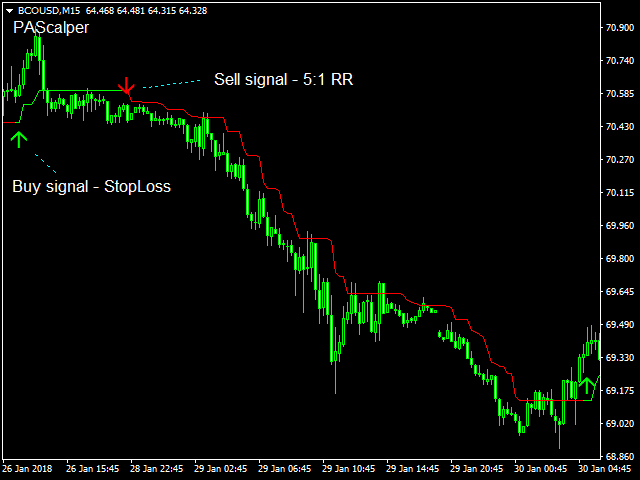 Price action trend: This forms crux of the indicator. 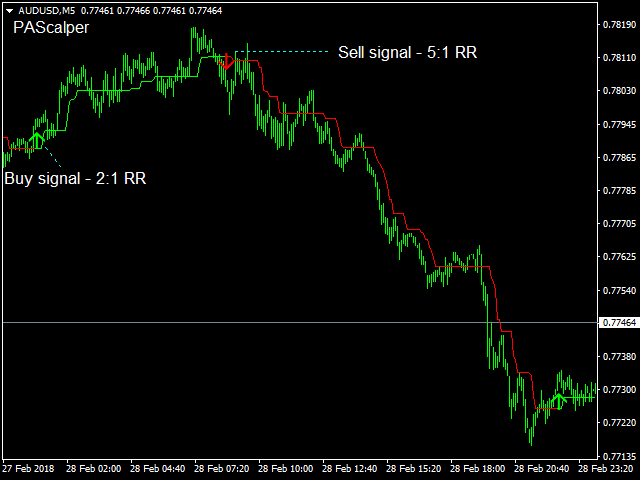 It is better to play in the direction of larger trend and with market's momentum. Volatility: The indicator has in-built logic to understand how volatile market currently is with respect to past. If volatility is too narrow (especially during holiday period), it may not generate new signal. If you face any issue using the indicator or any other queries, feel free to contact us at mail ID mentioned in the indicator. We are a team of professional traders with experience in developing software. We have been in markets for 8+ years and specialize in developing MetaTrader 4 indicators based on price action, for scalping, intraday trading and swing trading. 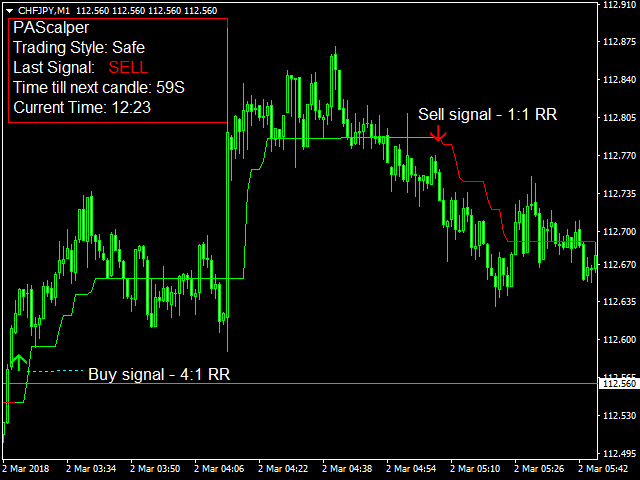 This trading signals indicator has been developed to support your trading decisions. Markets are ever dynamic and extreme caution needs to be taken while betting real money. 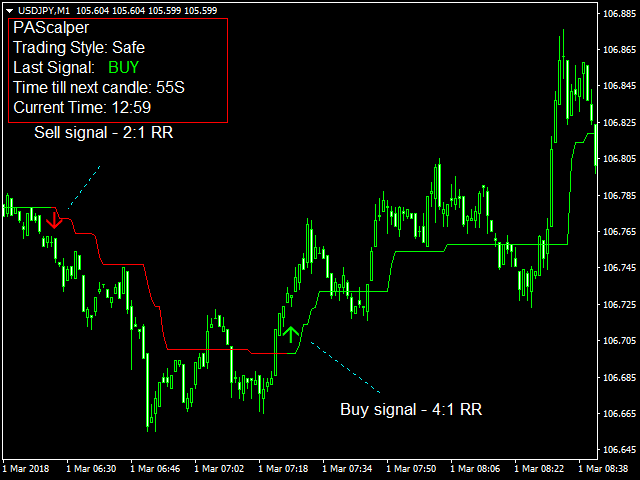 Under any circumstances, the developer or distributor of this indicator will not be responsible for any financial loss caused, directly or indirectly, due to use of this indicator.